IOC commission refuses to invite 15 Russian athletes cleared by CAS to PyeongChang 2018 | Russian Legal Information Agency (RAPSI). MOSCOW, February 5 (RAPSI) – The Olympic Athlete from Russia Implementation Group of the International Olympic Committee (IOC) has decided not to invite 13 sportsmen and 2 coaches from Russia, who were earlier found not guilty of violating anti-doping rules by the Court of Arbitration for Sport (CAS), the press-release of the IOC reads on Monday. According to the IOC, the group took note of the findings of the Invitation Review Panel, which was founded to confirm that athletes can be considered clean for a potential invitation to the Olympic Winter Games PyeongChang 2018. The Panel noted that the full reasoning of the CAS decision had not been made public yet and that the CAS decision had not lifted the suspicion of doping by the athletes. The IOC statement reads that the Panel observed additional evidence, provided by the World Anti-Doping Agency (WADA), that had not been available to the IOC Oswald Commission. On February 1, the CAS fully upheld 28 and partially upheld 11 appeals filed by Russian athletes disqualified for life from participating in the Olympic games because of the doping suspicions. CAS reviewed each of the cases on individual basis and did not find evidence against 28 athletes to be sufficient. 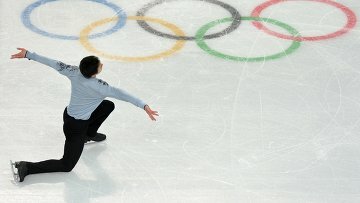 At the same the court ruled that 11 athletes did violate anti-doping rule regulation but changed the punishment: instead of being banned for life the sportsmen were prohibited only from participating in the upcoming Olympic games in the Republic of Korea. Later, Thomas Bach stated that he is disappointed of CAS decision and called for reformation of the court. Earlier today, President of the International Council of Arbitration for Sport (ICAS), John Coates stated CAS looks forward to publication of the reasoned decisions in these cases, noting that athletes are entitled to have confidence in judicial processes at all levels. 13:59 05/02/2018 The Olympic Athlete from Russia Implementation Group of the International Olympic Committee (IOC) has decided not to invite 13 sportsmen and 2 coaches from Russia, who were earlier found not guilty of violating anti-doping rules by the Court of Arbitration for Sport (CAS).